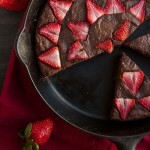 Paleo chocolate cake baked in a skillet for a no-fuss approach to dessert. Sweetened with figs and topped with thinly sliced strawberries. In a 12-inch cast iron skillet, add the 2 tablespoons of melted coconut oil. Stir around to cover and set aside. Add all wet ingredients to the jug of your high-powered blender. Blend on high until fully combined. Turn off the blender, transfer the mixture to a clean bowl and add in the dry ingredients. Stir to combine. Pour mixture into prepared skillet. 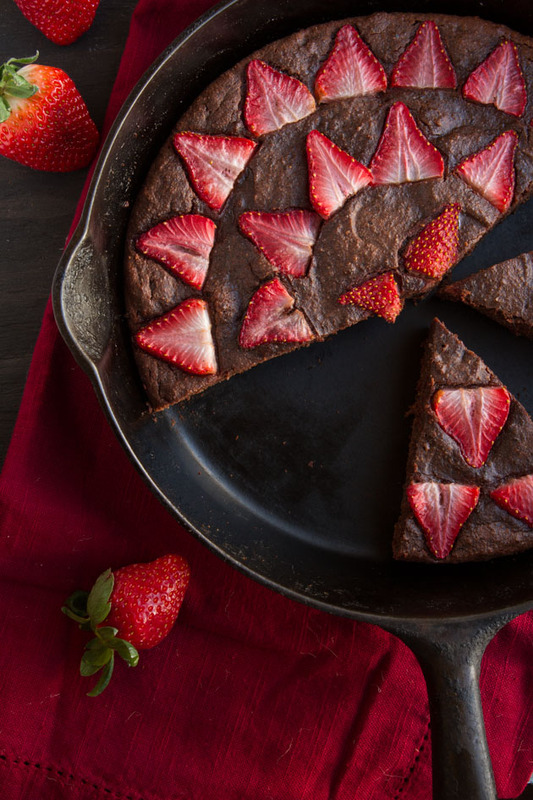 Flatten with the back of a spatula and top with an arrangement of the sliced strawberries. Bake in preheated oven for 25-30 minutes, or until toothpick inserted comes out clean. Will keep in the fridge for 3-4 days. Do not freeze. Full-fat coconut milk: is from a can.